Start by making yourself aware of the hazards associated with your profession. The Australian electrical utilities have created this excellent video to ensure that everyone is aware of the most important electrical risks you face on the job, and we think it’s well worth a watch. 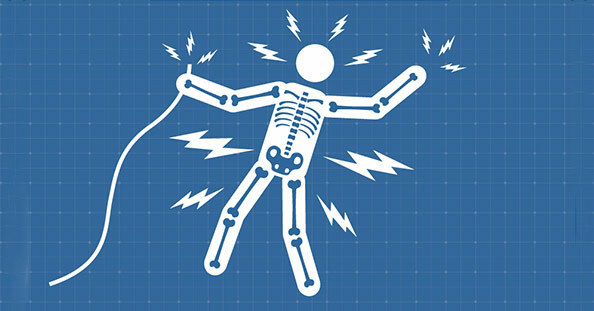 A lot of the time, these incidents happen to workers who know about the dangers of working with electricity. These workers understand the risks, yet somehow still find themselves in dangerous situations, simply because the right steps have not been taken to ensure their workplace safety. So despite the fact that most of you are so skilled at your jobs that you hardly have to think about it anymore, tragic accidents still happen all across the country. Don’t take your safety for granted. Keep these in mind and know that awareness to the right steps to take and tools to use could spell the difference between life and death in your line of work. Click on this link to view our full range of electrical safety wear, tools and accessories.